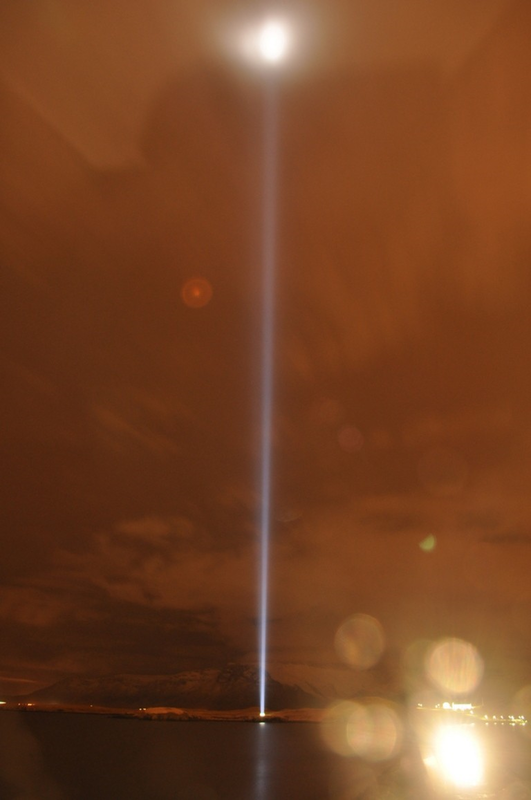 Latest UFO sightings – Strange light beam and “rod-shaped” UFO were capctured via webcam in John Lennon’s Memorial Peace Tower in Reykjavik, Iceland. This was taken on Thursday, 30th December 2010. 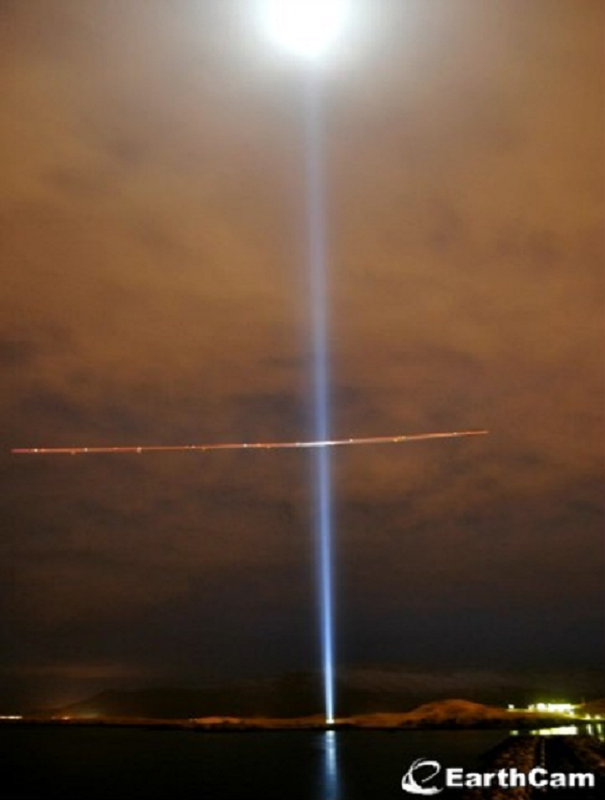 Author’s report: Mothership UFO Sighting flies through John Lennon’s Memorial Peace Tower Light Caught on Cam, Dec 30, 2010. While watching the amazing memorial tribute cam of the Imagine Peace Tower cam the UFO seemed to stand out more than the light. The side of the cam has older still shot hours earlier and these two photos were those. In the first you can clearly see an extremely long craft with the Imagine light reflecting off of its surface and sides. This UFO flew right through the Imagine light tower but for it to have gone unnoticed, it must have been traveling very fast indeed, yet not so fast that a still image could not be captured. The second image seems to show UFO orbs that are interested in the light beam. Since this light could be seen miles away, it will draw the attention of everyone in that vicinity of Iceland, even aliens might be curious about the what and the why of it all. Any similarities between this pictures and those of UFOs that disrupts air traffic in east China back in July 2010? First photo just looks like a long exposure photo with an airplane traveling through the frame with strobes and anti collision lights going. <br /> The second photo just looks like lens flare from the light source in the lower right corner. Why is the brightest part of the beam coming from the ground? 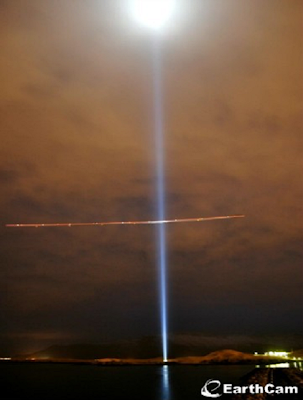 yea,that light beam was from the ground to the sky,and the brightest one was moon,this&#39;s a long exposure photo….